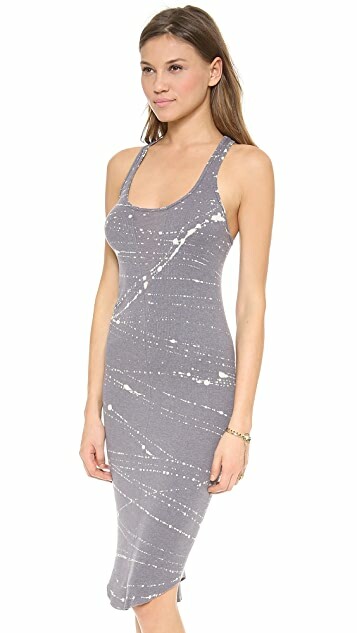 Slender tie-dye stripes send broken bands of color across a figure-hugging Raquel Allegra tank dress. A smooth, inset jersey panel accents the bodice. Scoop neckline and racer back. Raw shirttail hem. Unlined.